3D Printing - When will it become mainstream? 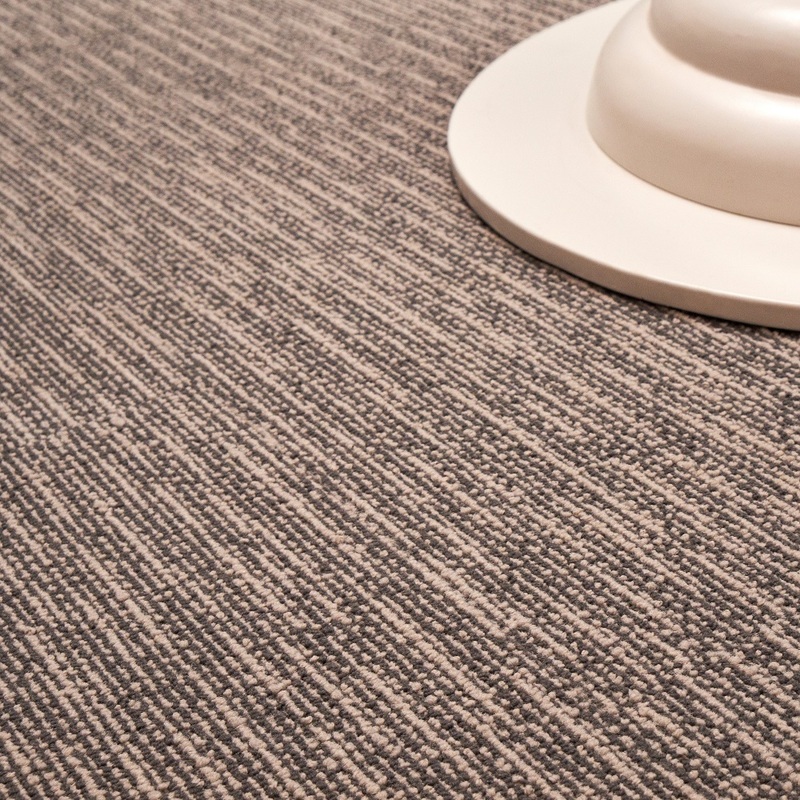 Here at The Floor Hub, we are fascinated in new trends, ways of working and creating innovative designs. After reading numerous articles about 3D printing in the construction industry, it got us thinking. Will 3D printing become standard in the construction industry? When will this happen? Will it be in our lifetime or for the next generations to come? The construction industry has traditionally been slow to change the way they operate, but now they are starting to exploit digital technologies. For over a decade companies have been investigating and refining techniques for 3D printing or 'additive manufacturing' in construction. One such being the California startup Apis Cor, who has created a partnership with the Russian company PIK. They have reportedly printed a modest concrete house entirely onsite in 24 hours for barely $10,000—a 70% saving over conventional construction methods. The firm was able to "print" a 400 sqft house. The printer, which resembles a small crane, places layers of a concrete mixture the company claims can last for 175 years and after the walls have been laid, the printer is removed and insulation, windows, appliances and a roof is added. The company claims these houses could be used to help quickly re-house people affected by natural disasters, or in areas of extreme housing crises. 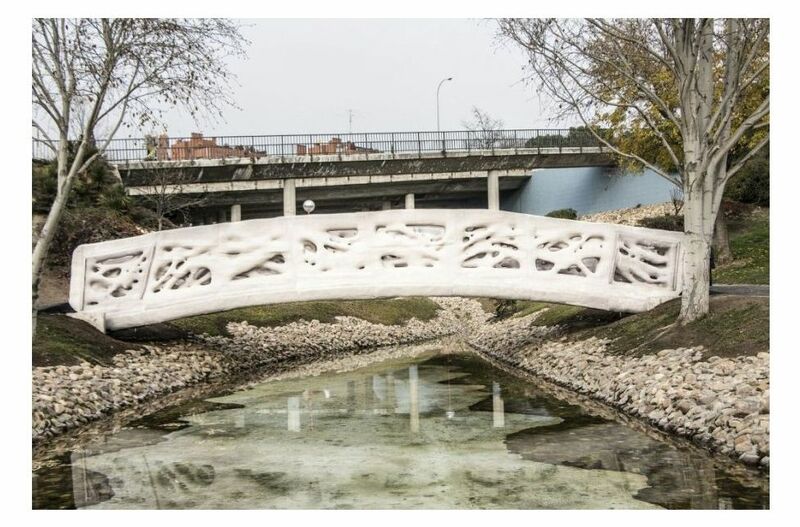 Also The Institute for Advanced Architecture of Catalonia (IAAC) was in charge of the architectural design of the first 3D printed foot bridge which opened in December 2016. It has a total length of 12 meters and a width of 1.75 meters and is printed in micro-reinforced concrete. It stands in the urban park of Castilla-La Mancha in Alcobendas, Madrid (pictured). 3D printing in construction will be beneficial, not only for predictability and delivery times, but for sustainability, the freedom to design buildings and other forms, plus autonomous construction. There is no doubt that one day 3D construction printing will become mainstream with little help required from people, but for now steps will be put into place to ensure the technology, costs, materials and regulations are all in place to move forward with such an amazing feat of engineering. BCG - Will 3D Printing Remodel the Construction Industry? 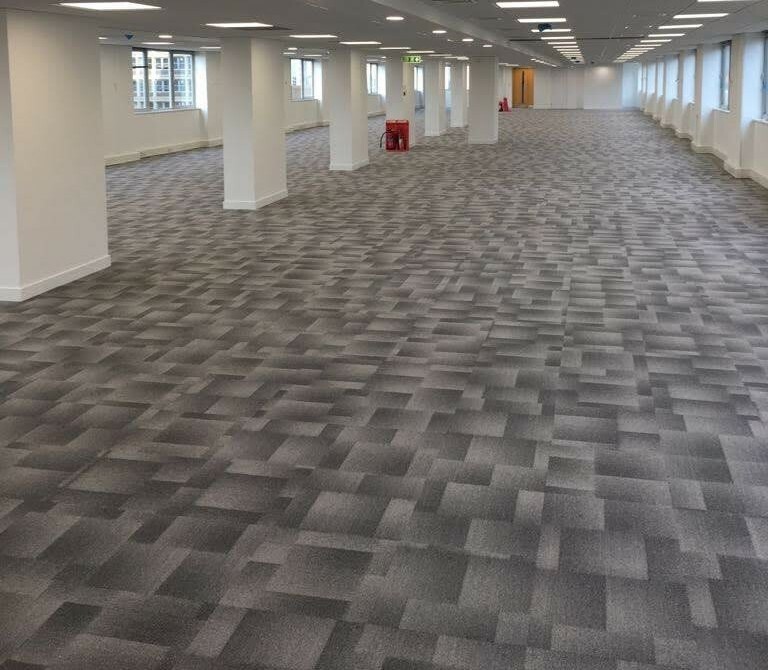 The Floor Hub’s Transmission carpet tile range has been beautifully fitted for a Cat A project in a vacant office building in Basingstoke. 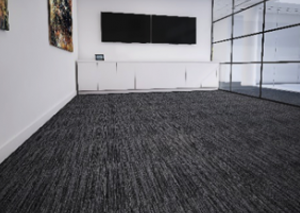 Over 900m2 of Transmission carpet tiles in Sound colourway has been installed on the ground floor to showcase the office and lobby space to prospective tenants. 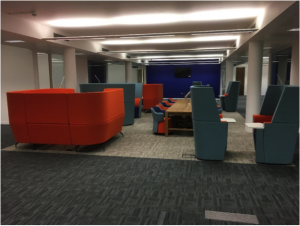 In addition, 160m2 of Expression carpet tiles in the colour Aspect has also been installed. The client stated “The flooring was a key part in the transformation of the office space and common parts into bright, modern–looking offices, available to let. 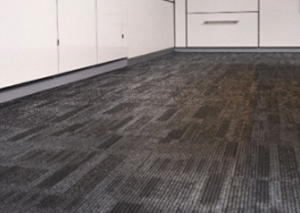 We chose The Floor Hub for their quick lead time and efficient customer service”. The workplace is changing quickly. Advances in technology, political developments and societal trends continue to throw up fresh challenges and opportunities. To flourish, companies must be prepared to adapt every aspect of their workplace design – and the most agile will be adapting already, in order to stay one step ahead. See Infographic. unique designs for practical use. The Wave Collection consists of 6 colours across 4 designs which can be mixed and matched or standalone creations. 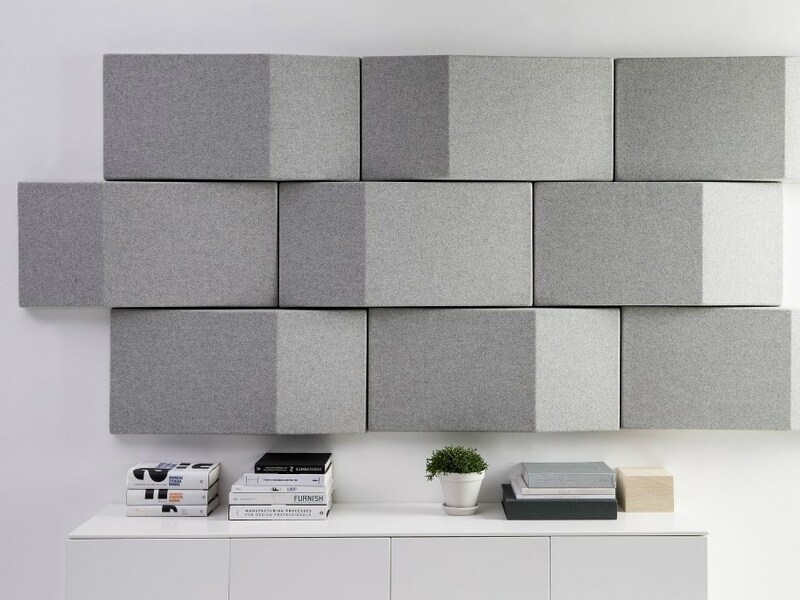 Transmission is a random framework of geometric shapes, an almost endless merging of subtle blocks. Shadows offers subtle contrasting movement of shapes like trees cascading light over the woodland floor. 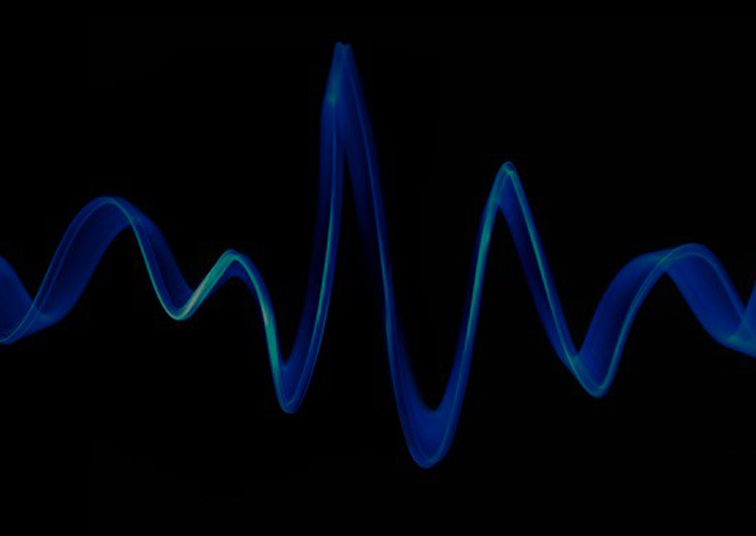 Percussionist provides contrasting note changes that resembles frequency waves played on percussion instruments, creating a striking professional pattern. 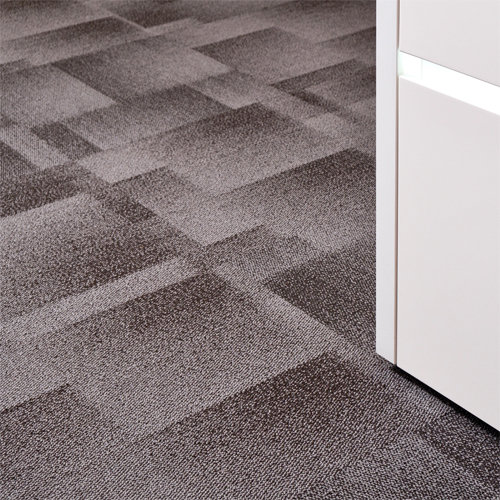 Reflections implements a striking, bold structure where each tile reflects against the next. 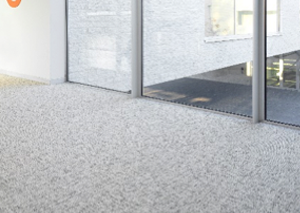 All of the Wave Collection designs are BREEAM A rating certified for commercial offices. 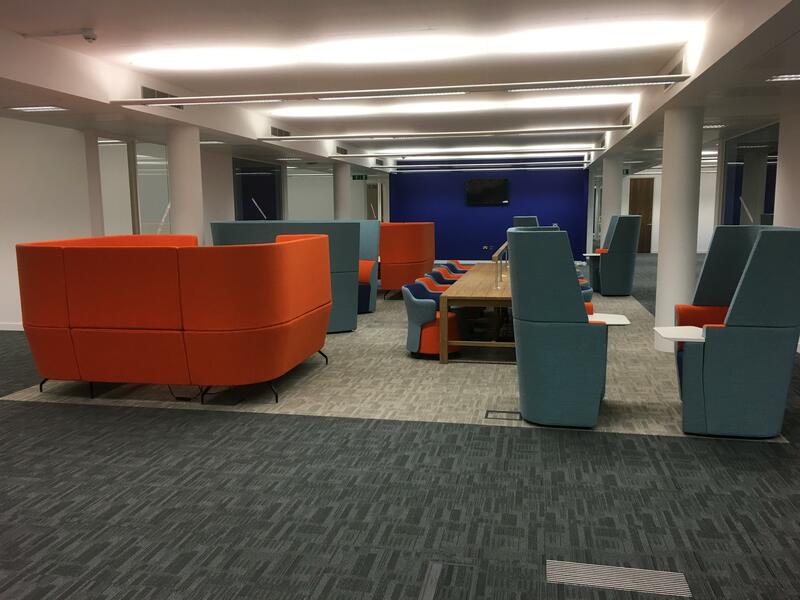 All 24 colours create stunning commercial office settings whether installed in a boardroom, a field area or a Cat B Fit Out. 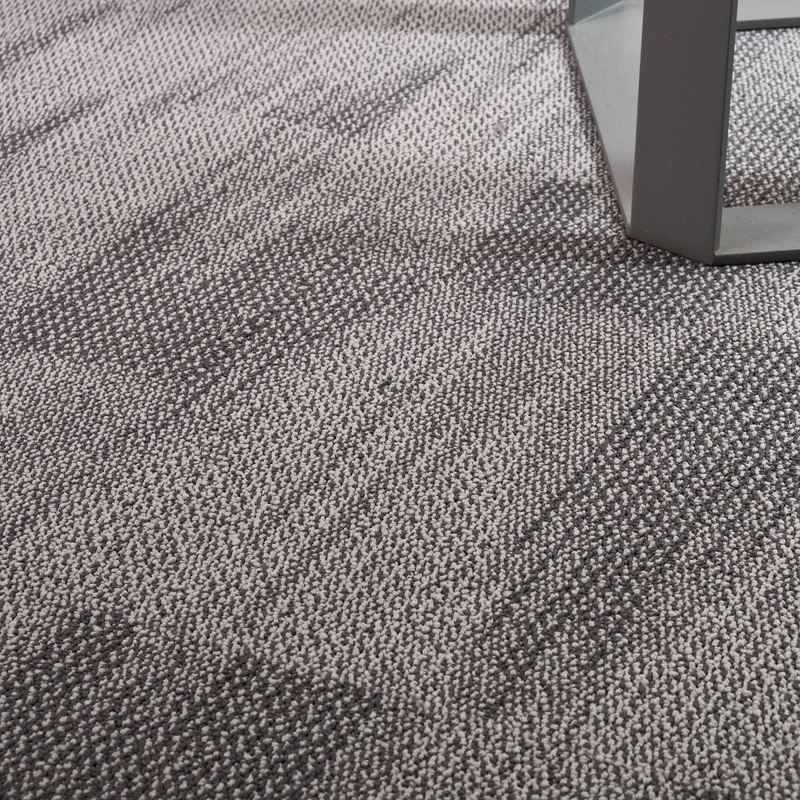 These carpet tiles are also perfect for educational establishments as they are classified as Class 33 Heavy Contract Use for high traffic footfall. All 24 colours are made and stocked in the UK for fast turnaround projects. 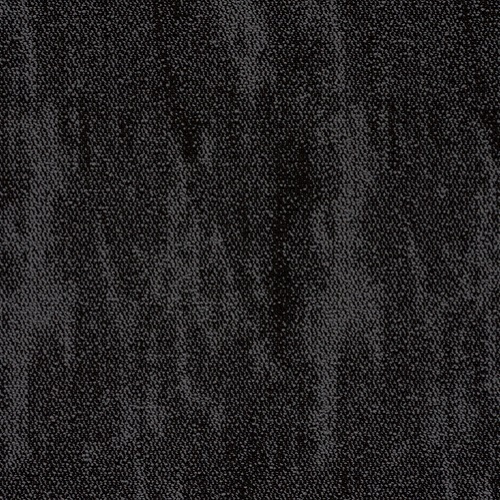 Click here to see the full collection, order samples or download the tile images.